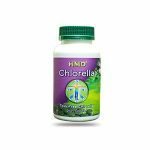 Home / DETOX / HMD CHLORELLA – 6 + 6 FREE! 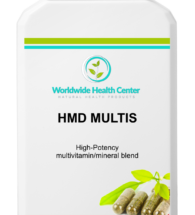 HMD CHLORELLA – 6 + 6 FREE! CHLORELLA – buy 6 and get another 6 FREE! CHLORELLA IS A SUPER FOOD KNOWN FOR ITS MANY HEALTH BENEFITS. 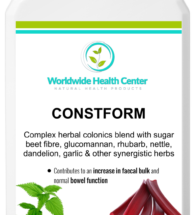 IT HELPS TO BIND METALS, CLEANSES THE BLOOD STREAM AND HAS BEEN SHOWN TO LOWER BODY FAT PERCENTAGES. 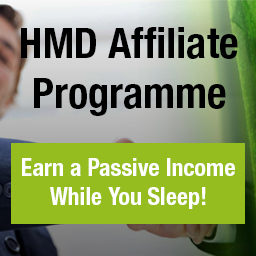 HMD CHLOREA IS 100% NATURAL ANDTOXIN FREE. TAKEN TOGETHER WITH HMD, CHLORELLA ACCELERATES THE ELIMINATION OF TOXINS AND SUPPORTS YOUR BODY DURING THE CLEANSING PROCESS. Chlorella (Greek: “Chloros” = Green; Latin: “ella” = small thing) is a green algae with an unusually high content of chlorophyll (the highest of any known plant) which gives Chlorella its characteristic deep emerald-green color. Chlorella is packed with nutrients and beneficial vitamins. 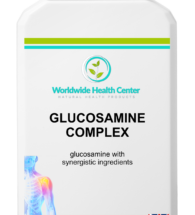 It contains all of the B vitamins, vitamins C and E, amino acids, beta-carotene, iron, zinc, calcium, magnesium, potassium, rare trace minerals as well as essential fatty acids. In addition research has shown that chlorella can help eliminate PCBs (toxic chemicals), dioxin, lead, mercury and other heavy metals. The reason we decided to bottle our own Chlorella is because we found that many brands of Chlorella sold today contain toxic heavy metals and other chemicals. This is not surprising since Chlorella has such a natural affinity for absorbing toxins of all kinds. We have spent a lot of time and effort to source 100% natural, toxin free Chlorella. 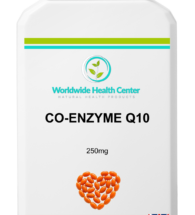 Our chlorella is relatively free of all toxins and chemicals that may be present in other Chlorella products on the market today. HMD Chlorella is part of our ULTIMATE DETOX PROGRAM – the best way to detox. 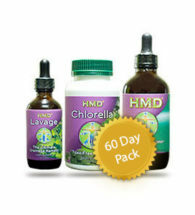 HMD Chlorella will eliminate heavy metals that are outside of the cells, but cannot pull toxins from inside the cells. 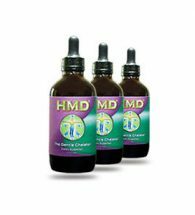 HMD – 8 oz (118 ml) – buy 6 bottles + 6 bottles FREE! 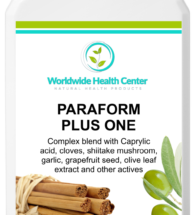 PARAFORM PLUS ONE – 90 caps – BUY 6 and GET 6 FREE!